June brought in some major downpours, which caused flooding in the Houston area. Whenever heavy rains like this hit, we see it as prime moment to check your roof. 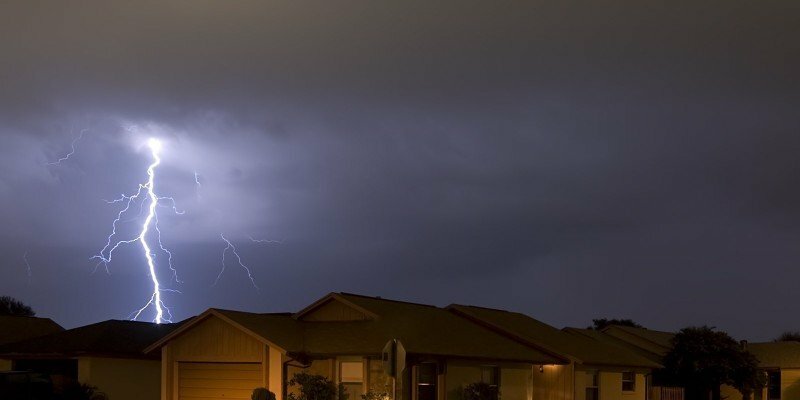 Extreme weather, like the recent storms we’ve experienced, will expose leaks, cracks and other weaknesses in your roof. We suggest you go around your house and inspect your ceilings in every room to see how they are faring. Also, we recommend you take a peek into your attic. There may be cracks in areas of your roof that require repair. Fixing those before they cause further damage will save you financially in the short- and long-term. If you see a leak taking place in your attic or seeping through the sheetrock on your ceiling, then try your best to stave off further damage by drying the area and catching the water drippage in a pan or bucket. After that, call us to come conduct roof repair. Heavy rain storms bring heavy winds with it. If there are trees in your yard, then you may experience falling branches. Many of these branches are small and won’t cause any damage to your roof. But then there are some branches and tree limbs that can fall from major heights to create cracks in the structure of your roof or knock off shingles. When this happens, and you’ll most likely hear the limb’s impact. That’s when you need to check the area after the rain has subsided. Then contact us to conduct an inspection of that area and your entire roof. Remember that our roof inspections are free. 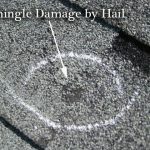 If you have had your roof for more than 20 years than it is more susceptible to storm and hail damage. 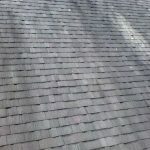 The shingles have taken the wear and tear for a long period of time and are most likely worn out. Weak shingles can create a weak roof because they can’t do their job properly. Roofing shingles are the first line of defense for your roof. 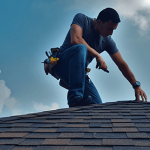 At Amstill Roofing, we’ll swing by and inspect your roof and the life of your shingles for free and then give you our professional diagnosis of your roof’s status. 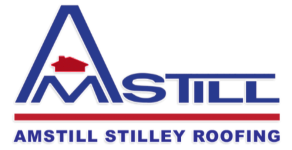 At Amstill Roofing, we have been serving the Greater Houston area for more than 40 years. 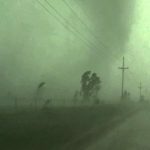 We have seen all of Houston’s bad weather, from tornadoes and hurricanes to rain and hail. Our stellar reviews indicate that we will ensure that you are completely satisfied with your new roof. Contact us today and let’s make sure your roof is in the best shape to handle June and the rest of the year.